Eric Bumgartner is an associate with the firm. He received a Bachelor of Arts degree in Classical Culture in 2004 from the University of Georgia, and earned his J.D. at Georgia State University College of Law in 2007. 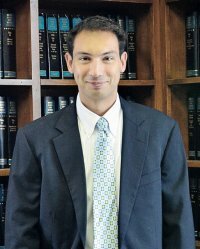 Eric primarily practices in the areas of local government defense, civil rights litigation, constitutional law, insurance defense, and general litigation. He is admitted to practice in the Southern U.S. District Courts in Georgia. Eric is a member of the State Bar of Georgia. While at Georgia State University College of Law, Eric worked with the Rockdale Circuit District Attorney’s office where he assisted in prosecutorial work. Eric is an endurance sport enthusiast, and is a life long resident of Glynn County.